Are They Better Than a Single Din? A "2 DIN car stereo," is just the bigger of the two form factors that almost every head unit conforms to. If you've heard that you need one, it's probably just because that's what your car has right now, and replacing like with like is the easiest way to upgrade a car audio system. Digging in a little deeper, the two main radio sizes are “single DIN” and “double DIN,” and it’s actually pretty easy to figure out which one you need. If your car has a single DIN head unit, the front face plate should be about 7 x 2 inches (180 x 50 mm). If you have a double DIN head unit, the front faceplate will be the same width but twice as tall. Since "2 DIN car stereo" is a colloquial term for double DIN, the head unit in your car will measure roughly 7 x 4 inches (180 x 100mm) if it conforms to that standard. The simple answer to your second question is that, no, you don’t ever need a double DIN head unit. If your car came with a double DIN head unit, you have the choice if replacing it with a single or a double DIN radio. On the other hand, if your vehicle came with a single DIN head unit, then you usually have to replace it with another single DIN head unit. For more in-depth information about selecting the right car radio, you can check out our head unit buyer's guide. What Does 2 DIN Car Stereo Mean? DIN stands for Deutsches Institut für Normung, which is the German standards organization that created the original standard for car head units that we still use today. The standard DIN 75490 specified that the dimensions of a head unit when viewing it from the front should be 180 mm long and 50 mm tall. The International Standards Organization adopted DIN 75490 as ISO 7736, which is used by automakers all around the world. However, head units that fit this form factor are still called "DIN car radios" due to the fact that the Deutsches Institut für Normung came up with the original standard. 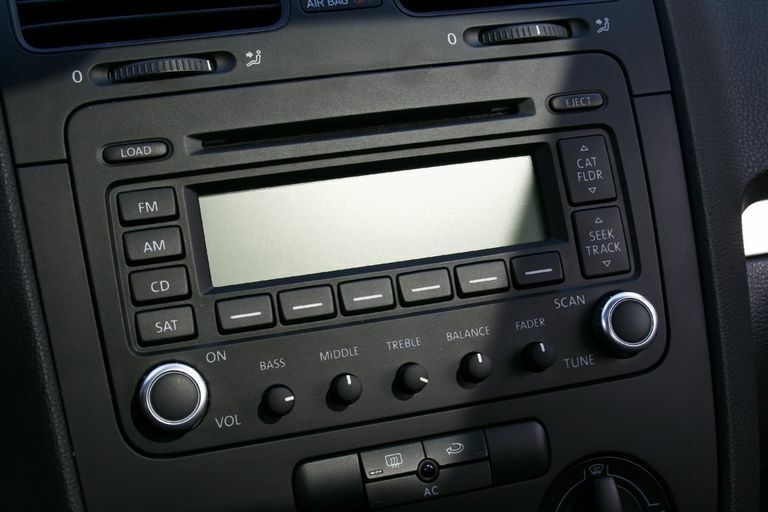 Although ISO 7736/DIN 75490 is the main standard for car radios around the world, there are some important variations and potential fit issues. The most important variant of DIN 75490 is called "double DIN" because car radios of this size are essentially like two single DIN head units stacked on one on top of the other. To that end, a "2 DIN car stereo" is still 150 mm long, but it is 100 mm tall instead of just 50 mm. Of course, depth is also important, and neither ISO 7736 or DIN 75490 specify a depth. In fact, neither of these standards even suggests a range of depths for car head units to conform to. That means some cars with especially shallow head unit receptacles can have trouble fitting certain head units. Most modern head units are sized properly for most modern cars, but there are still a handful of exceptions out there. That's why it's still a good idea to consult a fit guide before you make a purchase. While simply looking at whether a head unit is a single or double din or another less common form factor is usually good enough, consulting a fit guide takes any guesswork out of the equation altogether. In order to figure out whether you need a "2 DIN car stereo," you need to measure the faceplate of your current head unit. If it measures roughly 7 inches long by 2 inches tall, then it’s a single DIN head unit, and you have to replace it with another single DIN unit. If your radio measures roughly 7 inches long by 4 inches tall, then it’s double DIN. In that case, you can install another double din radio, or you can use a single din unit with an installation kit. There is also a 1.5 DIN size that falls in between, but it is rarely used. These head units, as the name implies, measure about 3 inches tall. Single DIN head units can only be replaced with other single DIN units, but you have more options if your car came with a double DIN stereo. If your head unit is about 4 inches tall, that means it’s double DIN, and you can replace it with another double-DIN head unit if you want to. However, you can also replace it with a single DIN unit if you obtain the right bracket. If you decide to go that way, you may even be able to install an additional component in the bracket like a graphic equalizer. Some head unit brackets and installation kits also include a built-in pocket that can hold CDs, your phone or MP3 player, or other small objects. Is 2 DIN Better Than 1 DIN? If you’re concerned about replacing a 2 DIN head unit with a 1 DIN car stereo for quality reasons, you can stop worrying. Double DIN head units aren’t necessarily better than single DIN head units. Although there’s more internal space for components (like built-in amplifiers), the best head units have preamp outputs so that a dedicated car amplifier can do the heavy lifting. The main benefit of double DIN head units is typically in the display since double DIN comes with so much more screen real estate than single DIN. Most of the best touchscreen head units fit the double-DIN form factor, which also means that most of the best video head units also fall into this category. However, there are a number of great single DIN head units that have flip-out touchscreens, so choosing one form factor over the other really comes down to personal preference. What Is a single DIN Car Stereo? How Difficult Is It to Replace a Car Stereo? Should You Change How You Listen to Your iPod in the Car?